As I have most definitely been in gaming mode during most of December, I needed something to get my head back into a little bit of painting. Fortunately Azazel has come to the rescue with his Decemb-uary Painting Challenge. This particular model is actually from the Revell – Warhammer Build + Paint range. I have added a few extras to the basic model such as more scrolls and plenty of battle damage. 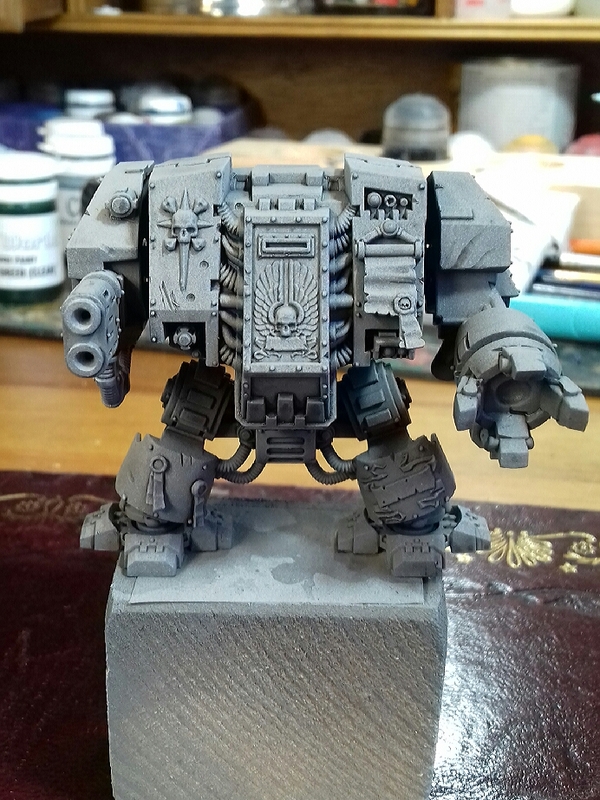 It will very likely be the only large centerpiece model that I will paint for my marine force, so it will be fun to get him painted and based to join the display shelf. 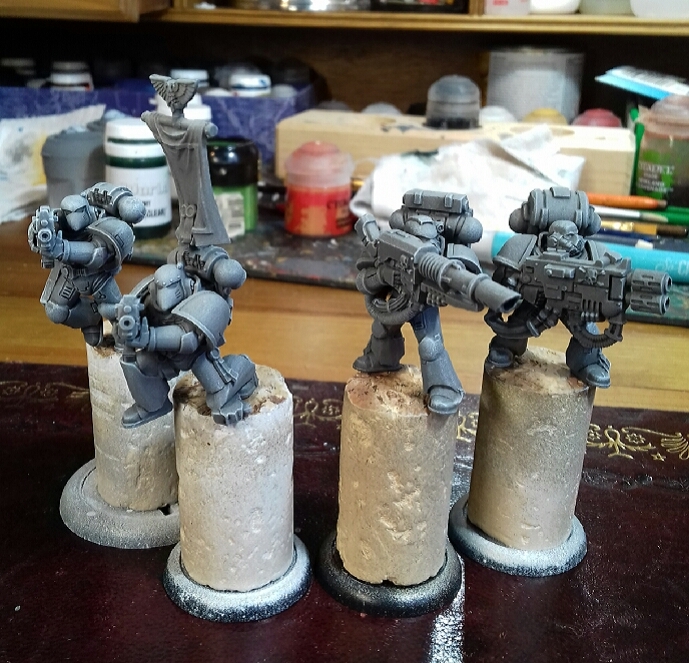 It has been undercoated in the same way as the rest of my Iron Eagle marines, a coat all over with a medium grey and ‘spritzed’ from above with a lighter grey to create a highlight and finally an all-over coat of thinned black wash. I hope to paint this model along with a couple of regular marines, as they are using the same colour palette. So with my declaration witnessed by the internet I had better get dipping my paintbrushes! More updates to come!.. Good to have you on board. I’ll have an update soonish, though I should probably apply some more paint myself! Pingback: Painting Decemb-uary 2017-18: Part 3 | Azazel's Bitz Box.